Years from now youâ€™ll gather your children around the warm glow of 5G phones and recount the tale of Instagram getting drunk and blacking out for almost 12 hours. While we enjoyed our forced cleanse, not knowing when the app was getting turned back on was stressful. Even Will Smith rejoiced the return of infinite scroll with celebratory content. One thing is certain; this wonâ€™t be the last Instagram blackout. Insta's founder Kevin Systrom has left the world of double taps, and since Facebookâ€™s takeover weâ€™ve seen UX â€œglitches," algorithm fiascos, and, of course, outages. Instead of going on Twitter, here are seven pre-rolls you should try when you're in an unplanned meme detox. If you have a favorite pre-roll that's specific to your state (we focused on NY and Cali) let us know. We're traveling to more states in the next few months and want to try all the things. Found in California, these aren't your typical joints. As once described to us - Pure Beauty doesnâ€™t make prerolls, they make sparkle sticks. Top quality, high THC blends, these prerolls are visual ASMR with a calming color palette, cute eye cartoon designs to remind you these are not cigarettes ðŸ‘€and evenly burning papers to ensure your sparkle lasts. For THC newcomers these will give you a proper head high so keep it to a few puffs and then pass to someone you follow. Available online (always double check your state's laws around ordering hemp across state lines), we might be a bit biased with these prerolls. A collaboration with yours truly and Soul Addict, fresh hemp flower is blended with a mix of herbs that help you chill and enjoy the day; even when you can't slide into anyone's DMs. It's science: miniature anything is cute. Miniature goats? Don't get me started. Miniature cupcakes? The cutest calories. Mini joints? You know the answer (it's get-in-my-shopping-cart cute). Garden Society is in Sonoma California and was founded by two women who wanted to "find healthy ways to bring balance to [their] busy lives." With a line of delicious edibles, they also make Rosette Prerolls in sativa-hybrid, indica-hybrid and high CBD. Sometimes, you only want to commit to one tasty joint. 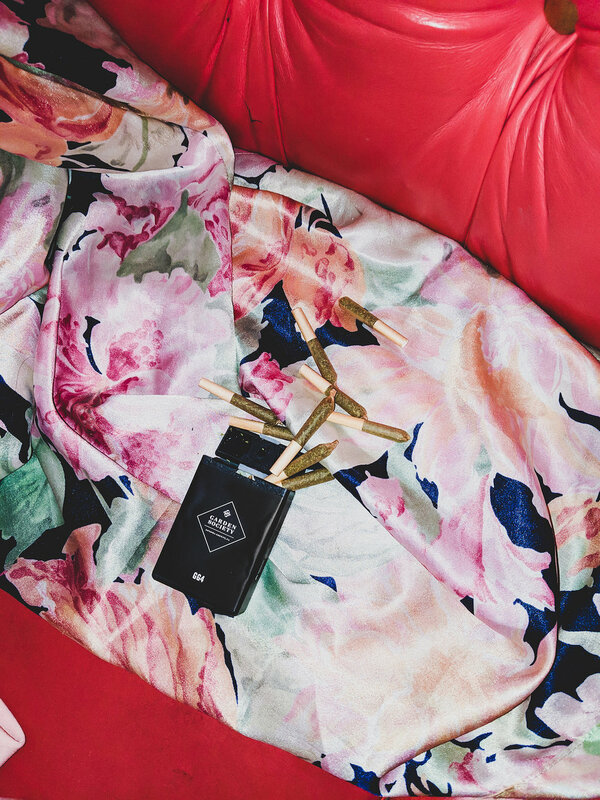 Leune, another women-owned brand, is a line of chic, terpene-infused prerolls and vapes. While it's only available in California (for now), you can get Leune on Eaze's simple to use online delivery service. If you want a consistent, high quality, and overall beautiful experience in California, Stone Road is the preroll you should be reaching for. With a slow burn time and delicious strains harvested by farmers dedicated to organic practices, we're partial to their hybrid singles which taste like cherry pie. Serving up some of the finest California flower, Loudpack cultivates strains with "OG cannabis gurus, DNA Genetics and Crockett Family Farms." They blend science and legacy to bring you quality prerolls. The packaging is bright and simple with each pre-roll in the five-pack being individually tubed for easy transport (or gifting). Branding aside, this preroll is one of our favorites. Canndescent packs premium organic flower grown from proprietary genetics into mood-state prerolls to help reach five main states (calm, cruise, create, connect, charge). With flower being dried and cured for more than 30 days, you can buy your prerolls individually or in a five-pack â€œflightâ€� to try each "signature effect." Have a favorite product you didnâ€™t see? Want to share your thoughts on Instagram going dark on us? Talk to us.